As we grow up, in the absolute hustle bustle of our daily lives, we tend to put the most important things in our lives aside or on hold. This may sometimes lead to postponing something as little, yet very special and meaningful, as a hug, until you either forget about it or wait on it until something else comes up. This is why I love the idea of the special days that are created on the calendar. They are a chance for us to cherish and enjoy the people who helped us in becoming who we are. They are a chance to take time out of our busy schedules and spend quality time with the ones we love the most. June 19th is Father’s Day, so I thought while rejoicing the moments that I spent with my dad and valuing every memory that I made with him, I will try to inspire you to do the same. I have put together a list of unique gifts that can suit a variety of age groups and adjust well to different budgets. We all have a story to tell, depending on where your story took you, I hope you can find a gift that will compliment your story and be the cherry on top. Plan is a global movement for change, mobilizing millions of people around the world to support social justice for children in developing countries. Plan offers gift certificates from as little as $10 that can be life-changing. If you are like me and offering gifts in memory of your Father, then this might be a great option. Visit their page explore the possibilities. If you prefer personalized gifts, check out Things Remembered for some nifty ideas. Gifts range from pendants, photo frames, money clips, and much more. If you’re in a pinch for time, Dad will always appreciate a framed photo of his family! Maybe Dad is a “backyard barbecue” kind of guy or maybe he loves the modern day evolutionary age of electronic gadgets. The list of 56 Father’s Day Gift Ideas from Real Simple has something for every kind of Dad. 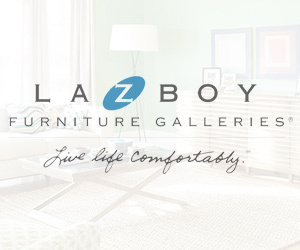 Annnnd if none of this is your forte, then visit one of the La-Z-Boy furniture Galleries and treat your dad to a comfy recliner. You’ll find different styles of recliners with many different options to play around with, so Dad can customize a chair that fits both form and function. A recliner is a gift your Dad will enjoy for years to come!